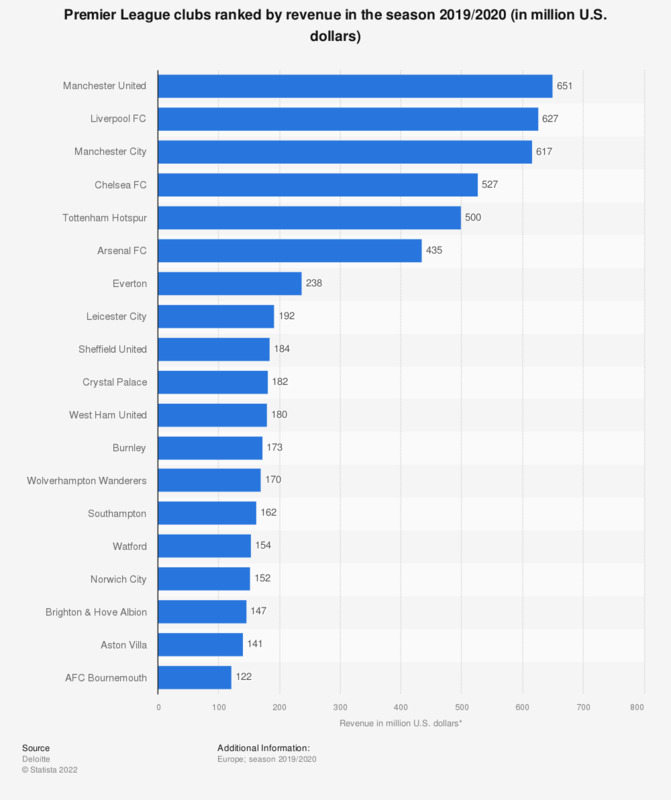 The statistics ranks the clubs of the English Premier League by revenue in the 2016/17 season. Manchester United generated around 799.43 million U.S. dollars in revenue in that season, leading all Premier League clubs. * Figures were converted at the exchange rate of May 1st, 2018: 1 GBP - 1.37595 USD.